A new trailer for NBA 2K19 was released on Monday by 2K Sports to give the first gameplay preview and show off the lifelike portrayals of the teams’ athletes. 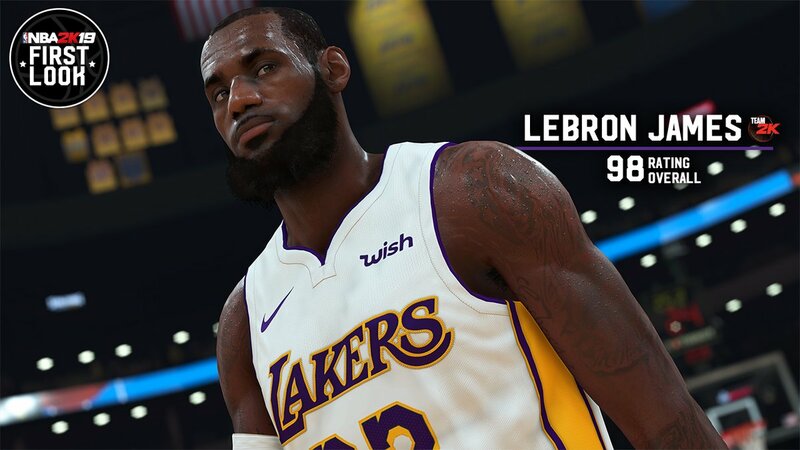 It’s the first official footage that we’ve seen for NBA 2K19, and it also shows off LeBron James’ debut as a Laker. He’s joined by other recognizable faces from the NBA like Giannis Antetokounmpo, the Milwaukee Bucks player who will serve as one of the cover athletes for the game. Dubbed “Take the Crown,” the minute-long trailer is set to Jay Rock’s “Win.” The trailer showcase some of the best NBA talents in today’s game. Despite the release of NBA 2K19 being only a month away, very little about is known about the new features and improvements. The only details revealed so far have to do with the series’ two franchise modes, “MyGM” and “MyLeague,” which are getting extensive additions to expand on what was already an area of considerable strength. There will be two 2K19 editions hitting retailers on September 11th. The Standard Edition will feature Antetokounmpo on the cover while the 20th Anniversary Edition will highlight King James.